There is enough room to accommodate the common development of both China and India, Chinese Foreign Ministry spokesman Hong Lei said on Wednesday. As the most populous developing countries and emerging economies, China and India face important opportunities for development, Hong pointed out. “China and India are partners, rather than rivals. We have far more common ground than disagreements, more mutual interests than conflicts,” he said. India and China, both emerging countries, should become “inseparable strategic partners” overcoming the “deep scars” inflicted by the 1962 war and should make its 50th anniversary a starting point for a promising bilateral cooperation, Chinese state-run media said today. As the leaders of the two countries have repeatedly pointed out, the world has enough space to accommodate China and India for common development and there are enough areas for the two countries to have cooperation, Hong said. “China is willing to work with India to look forward, enhance trust, communication and cooperation to deepen China-India strategic partnership and benefit the two countries and its people,” China Foreign Ministry spokesman Hong said. China and India fought over the border in 1962 and hostility afflicted bilateral relations until the end of the 20th Century. India paid homage to soldiers who lost their lives in the war over the weekend and Indian Defence Minister A.K.Antony said that there would not be a repeat of the 1962 India-China war. 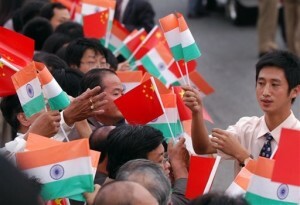 2012 marks the 50th anniversary of the 1962 China-India border conflict. It is also the “Year of China-India Friendship and Cooperation”, announced by the Chinese President Hu Jintao and Indian Prime Minister Manmohan Singh.